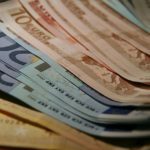 Most travellers often find converting their local currency into foreign currency to be a daunting process. That’s because not only do you need a good pair of walking shoes to walk from one currency exchange outlet to another, you also need to keep track of the different rates for comparison so that you don’t end up paying more AND know how to read the rather cryptic rates display board! Phew! How Do I Know Which Rates Are For Which Country? Easy, there’s a flag displayed to the left of the numbers. This indicates the country and the currency rates displayed on this row are for that particular country. The rates displayed under the “We Buy” and “We Sell” columns are then multiplied by the currency you’re using in the transaction. 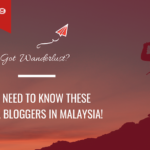 For example, you’re travelling to the US and you want to exchange RM1k. The rate displayed is $0.23 for RM1. Therefore, you multiply RM1k with $0.23, which means you get $226.40. What If I Want To Buy Foreign Currency? If you would like to exchange your money for the currency for the country you’re heading to, you look at the “We Sell” column. 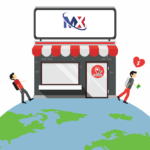 We know it can get confusing – why are you looking at the “We Sell” column when you want to “buy” foreign currency? That’s because from the money changers’ perspective, you’re looking to buy from them, which in turn constitutes a “sale”. What If I Want To Sell The Foreign Currency I Have? The opposite holds true when you want to exchange the foreign currency you have for your local currency after your trip. This time, you are the “seller” of a foreign currency at the money changer, whom you are going to “buy” from. Therefore, you need to refer to the “We Buy” column to see the applicable rate. What If I Want To Change A Foreign Currency For Another Foreign Currency? 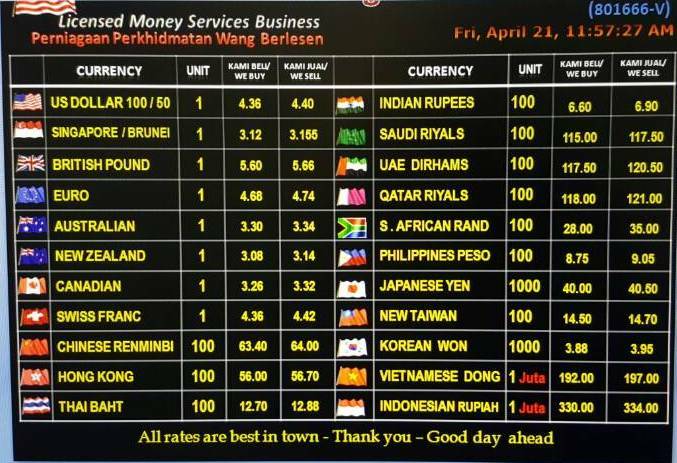 First, the money changer will “buy” your dollars for ringgit, which means you look at the “We Buy” column for the rates. Let’s say you have $500. In this scenario, $1 equals to RM4.42, which means you get RM2,208.50. Next, the money changer will “sell” you euros for ringgit, which means you look at the “We Sell” column for the rates. RM1 is equivalent to €0.21, which means for your RM2,208.50, you get €464.90. And that is how you convert $500 into €464.90! You don’t have to do all that if you use CurrenSeek! That’s because CurrenSeek is an app that helps you find the best rates at money changers near you so that you can avoid that sinking feeling when you discover a better rate AFTER you’ve changed your money! 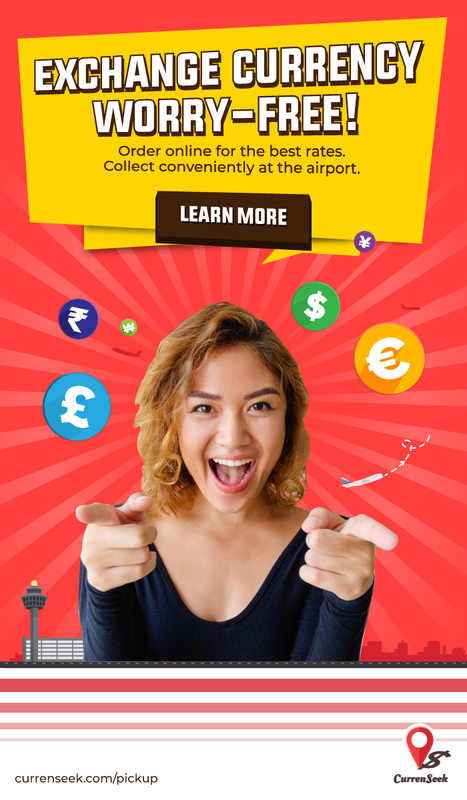 You can also book currencies at your preferred currency exchange outlet – that way, you won’t be disappointed when you drove all the way out to that currency exchange outlet! Believe it or not, you can get rewarded for exchanging currency with CurrenSeek, not to mention save yourself the hassle of going around to all of the different money changers! 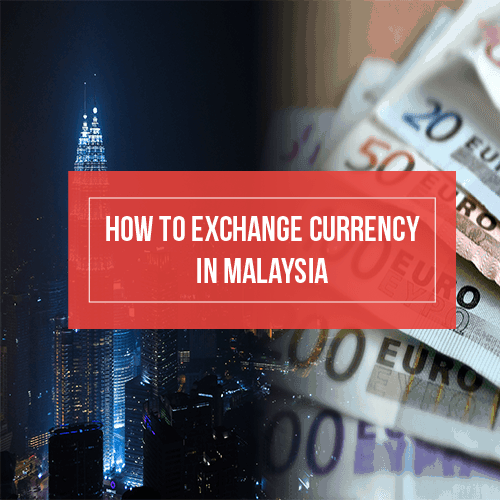 If you’re not sure how to use CurrenSeek, check out this helpful infographic on how to make currency exchange a breeze in Kuala Lumpur with CurrenSeek!